You don’t need us to tell you that our planet is in bad shape. The world we live in is swamped in rubbish that could have been recycled. Landfill sites are rapidly becoming congested, plastics and other unsavoury items are ending up in our oceans and, as is speculated by scientists, being absorbed into the food chain. This is the very food chain that sustains our planet of nearly 7.5 billion people. That’s exactly why it’s so critical that we recycle our waste. Recycling in South Africa has still got a long way to go before it can compare with European standards. What is second nature for most European households in terms of sorting through their rubbish and preparing it for collection, is still a work in progress in South Africa. Our government’s goal is to reduce the amount of plastic, cans, paper and glass going into landfills by 70 percent in the next decade or so. However, to meet that target the average South African household needs to stop throwing away rubbish and start reducing, reusing and recycling in earnest. Recycling for the average South African household is still in many cases a mission impossible. Although urban facilities are better organised, in many of our communities there is not much of a kerbside collection on designated days. Lack of education and indifference to separation of waste products and a generally laissez faire approach to landfill site management continue to hamper recycling efforts. On the plus side, though, there are many people who would start to recycle if the infrastructure were better, if they were better informed or if incentive schemes were offered. Also, in typically South African fashion, there is a burgeoning informal craft industry that turns discarded items into colourful and vibrant craft items. One such recycling incentive scheme is Collect-a-Can, a non-profit organisation started in 1993 in response to the steel beverage can industry’s responsibility to give something back to the environment. Collect-a-Can has been the driving force behind the collection and recycling of cans for many years, and now after 23 years, South Africa has managed to increase its rate of can collection from 18 to 72 percent. This compares favourably with first-world statistics and is something of a recycling success story for the region, which includes Botswana, Namibia, Lesotho and Mozambique. Its Cash for Cans initiative encourages the collection of cans and their sale back to Collect-a-Can for cash. This creates jobs in impoverished communities and brings in alternative forms of income for NGOs, schools and various other community initiatives. In a country with one of the highest unemployment rates in the world, many jobseekers are forced to find alternative ways of earning a living. This initiative and others like Collect-a-Can, help to safeguard the livelihood of thousands of unemployed South Africans and help to develop communities across the southern African region. How does can recycling work? The steel beverage cans that are collected are melted down and used to produce other steel products. This constitutes the majority of cans collected in South Africa, but imported aluminium cans, which have more value than tin-plated steel cans, are also recycled by Collect-a-Can. The going rate for informal collectors is R8 for each kilogram of collected aluminium cans, which works out at 77 240ml cans. Aluminium is 100 percent recyclable, which means there is no part that we can’t reuse – it can be squashed, melted and reconstituted over and over again. What is alarming is that aluminium cans have a lifespan of over 500 years and steel cans and tins can last up to 100 years; yet another reason for them not to end up in the landfill sites. 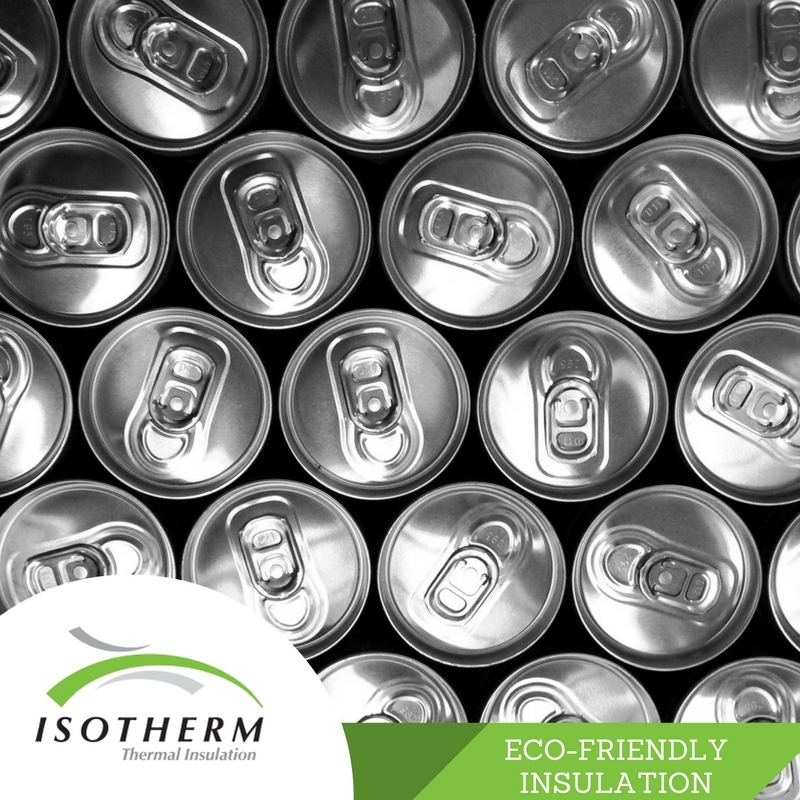 The benefit for the environment is invaluable, because for every one ton of aluminium cans recycled, 14,000 kWh of energy is saved, 6295 litres of oil is saved and 14.5265 cubic meters of landfill space is saved. By now it should be crystal clear that if we want our families and communities to live in healthy and pristine environments and if we want to preserve our planet for generations to come, every one of us has the responsibility to keep our environment clean by recycling. The success of recycling depends on the active participation of every member of the community. By participating, we will be reducing the amount of trash that ends up in landfills, encouraging the reuse of materials made from recycled products and continuing the recycling revolution. What are you doing to become part of the solution?